Dan Carlin, in his podcasts on World War 1, has a great analogy about the quality of monarchs that came to mind here.5 He describes monarchical succession as a roll of the dice where sometimes you get great kings like Frederick II or Peter the Great, but other times you are stuck with the Wilhelm II or Nicholas II‘s of the regal world. 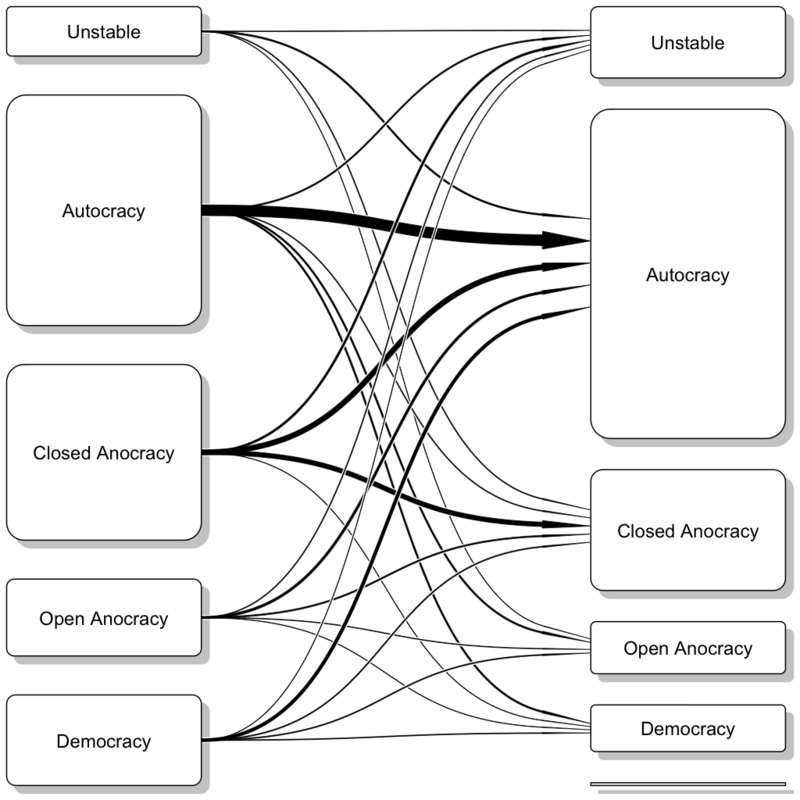 Based on the cursory look I’ve described here, coups are then akin to rolling a loaded dice. 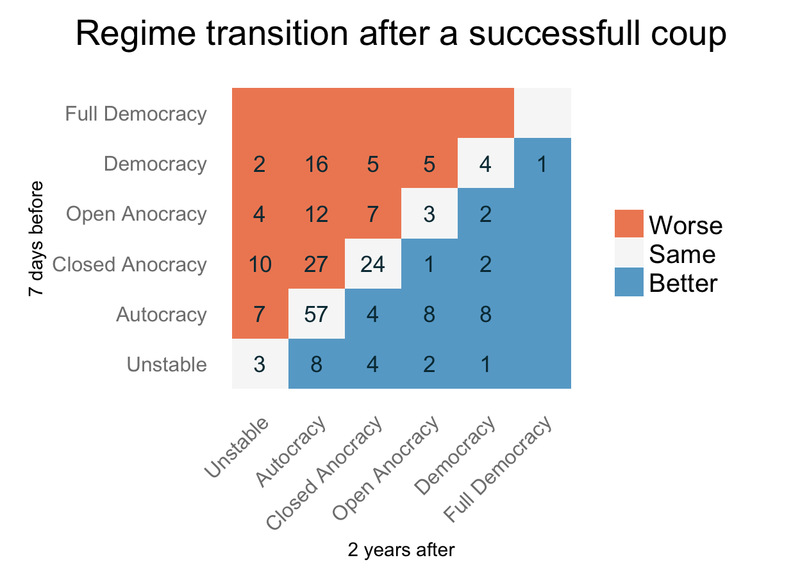 Sometimes they can lead to regimes that are more liberal, and if not outright democratic at least less autocratic. But more often, they are associated with no change or change in the wrong direction, in addition to other short-term costs they carry. Thank you for taking up my recent contribution. 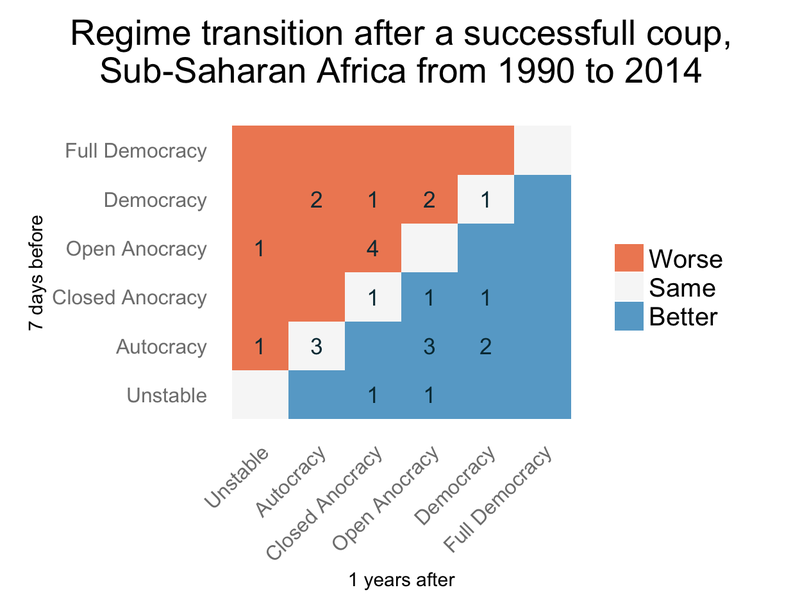 I am currently in the process of doing a (qualitative) analysis of the effects of all African coups since 1990 (25 cases) on regime development. It seems that the overall picture is a lot more negative than the Polity IV scaores make one believe. But early days yet. You’re welcome. Look forward to your analysis–the descriptive summary here is of course superficial and doesn’t tell us much about the course of events following these coups.